Aesthetics by Design, Denver's premiere skin care clinic, offers full service aesthetics and plastic surgery services in one convenient location. Owned and operated by Dr. Mario Imola, MD, DDS, FRCSC, FACS, Aesthetics by Design provides a comfortable atmosphere with a comprehensive selection of facial cosmetic services. Aesthetics by Design offers the latest laser skin treatments, from laser hair removal to Fractional CO2 Laser Skin Resurfacing to IPL Skin Resurfacing, and more. 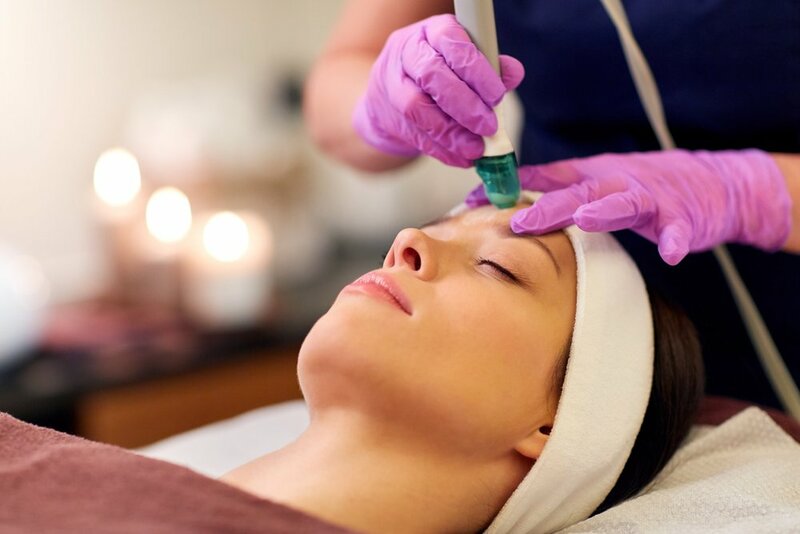 Professionally trained and industry certified estheticians at Aesthetics by Design provide the most advanced facial treatments available at our Denver facility. Aesthetics by Design offers the best facial and lip injections, including Botox Cosmetic, Juvederm, Radiesse, Sculptra, and many other top brands. Restore your natural hairline, or simply replenish thinning hair, with follicular unit extraction (FUE) surgery, with discrete, natural results. Aesthetics by Design offers a variety of skin care products, including our personal line, Back to Basics (B2B), specifically designed for Denver’s high altitude conditions. Let Dr. Mario Imola and his highly trained staff of paramedical aestheticians and certified injectionists at Aesthetics by Design help you choose the right products for your specific specific skin type, and develop a regimen by which you can achieve the lasting results you desire. Simply contact us and arrange for a consultation today. Aesthetics by Design offers a variety of skin care products, and carries the trusted names in the industry, including Glytone, Latisse, and Tensage, as well as our own medical grade skin care products. Follow the Aesthetics by Design company blog and stay abreast of the latest news. From industry developments to current trends, glean the insight you need to look and feel your best every day. Aesthetics by Design prides itself on delivering best in class customer service. As a top rated medical facility in Denver, we value our patients, and make every effort to ensure their comfort and satisfaction. Periodically, Aesthetics by Design offers service specials and product discounts. To learn about our latest offerings, please like, share, and follow us on Facebook, and read our blog for updates. Aesthetics by Design is dedicated to our patients with knowledge and care, specializing in anti-aging, age prevention and acne treatments. The goal of our practice is to provide you with a concierge service by being the ultimate provider in planning and executing your skin care program. We will map out your journey: make recommendations as to your care, proving you with the necessary information, treatments, and products to achieve your skin care goals. Fractionated CO2 lasers excel at treating deeper wrinkles, sun damage, wrinkles, blotches, acne scars, surgical scars, and traumatic scars. Fractional CO2 laser skin resurfacing, also known as CO2 fractional laser therapy, combines the performance of traditional carbon dioxide lasers, long considered the gold standard in wrinkle elimination, with a new application technique. Laser hair removal uses light-based technology to reduce and eliminate unwanted hair growth. This cutting-edge technology, represents a tremendous advancement in the aesthetic marketplace, and offers significant advantages compared to other forms of hair removal. Employing vacuum-assist technology, the LightSheer Duet allows Aesthetics by Design's trained technicians to easily access all reaches of the body, comfortably removing unwanted hair within minutes without the use of gels and other topical anesthetics. SculpSure is the world’s first FDA cleared laser treatment designed to remove fat cells in 25 minutes with lipolysis, a safe, effective alternative to liposuction. Even with diet and exercise, most people have stubborn pockets of fat that seem impossible to lose. SculpSure’s proprietary non-surgical body contouring technology is able to target and remove these fat cells without affecting the skin’s surface, generating lasting results with no downtime or scarring. HydraFacial MD is a minimally invasive procedure benefitting all skin types; it is excellent for improving overall skin health, reducing the fine lines and wrinkles, creating skin elasticity, firmness, tightness, and tone, improving texture and vibrancy, and reducing hyperpigmentation, oily and or congested skin, enlarged pores, and other advanced signs of aging. HydraFacial MD is also effective in addressing environmental damage, leaving your skin recharged, renewed, and invigorated. Chemical peels use a liquid peeling agent to remove dead skin cells, and promote skin rejuvenation and tightening, effectively treating fine lines and wrinkles, uneven pigmentation, acne and acne scars, sun-damaged skin, age spots, freckling, and general scarring. A chemical peel is one of the least invasive ways to improve the appearance of your skin, and is considered an essential part of any good clinical skin care program. MicroNeedling is tailored procedure designed for patients looking to reduce wrinkles, pore size, acne scars, skin pigmentation, and or sun damage. All skin types benefit from this minimally invasive treatment with little to no downtime. The automatic vibration associated with our best in class derma device increases the efficacy and efficiency of treatment, making it more effective and faster than other, more aggressive, procedures. Aesthetics by Design Medical Director, Mario Imola, MD, offers a novel procedure wherein patients can achieve dramatic aesthetic outcomes without a scalpel and the scars it can bring. FaceTite, a radio frequency system utilizing Radio-Frequency Assisted Lipolysis (RFAL), is designed for neck and face contouring, reducing skin laxity and fatty deposits in the neck and jowls. Visia Skin Analysis is a leading technology used to analyze age-related skin changes, providing objective, detailed information about the condition of your skin. The Visia system uses advanced imaging techniques, such as multi-point positioning, to capture in-depth, high-resolution images of your skin, which Aesthetics by Design’s highly-trained specialists use to determine appropriate facial treatments for individual skin types. Microdermabrasion is a minimally invasive dermabrasion procedure that exfoliates and removes the topmost layer of skin leaving it supple and vibrant. This skin rejuvenation facial treatment gently polishes the skin by lifting dead skin cells off the surface to expose brighter and smoother skin. We offer Microdermabrasion in Denver to people looking for solution for minimizing the results of aging. Intense pulsed light (IPL), also referred to as Photofacial, Photo Facial or Fotofacial, is a non-laser light-based energy treatment primarily used to improve and rejuvenate the skin surface. IPL differs from laser treatments in that it uses a broad bandwidth light (BBL). Considered very effective and safe, IPL is one of the best clinical skin care treatments available. A fractora treatment is one of the most sophisticated fractional radio-frequency treatments available for anti-aging. Fractional skin resurfacing uses ablation to improve skin tone and texture for a more radiant look. Fractora works on all skin types, from light to dark, and everything in-between. From the makers of Botox comes Juvéderm Volbella XC, the first and only FDA approved filler to add volume and decrease the appearance of vertical lines with natural-looking, long-lasting results. If you are in the market for a natural looking lip enhancement with a silky-sheen finish then Juvéderm Volbella XC is the filler for you, increasing lip fullness and softening the appearance of vertical lip lines for up to a year. Botox, Dysport, Xeomin, and other neuromodulators (neurotoxins) are prescription strength medicines that minimize the appearance of wrinkles. Injected into the muscles that lead to persistent lines on the forehead, between the eyes, and around the mouth, neuromodulators temporarily diminish the visual effect of age, creating a more youthful, vibrant appearance in men and women. Revanesse, Juvederm, Radiesse, and Sculptra are soft tissue fillers that injected into the skin diminish the appearance of wrinkles, restoring one's youthful appearance. Comprised of organic ingredients, these products produce remarkable yet temporary results lasting up to several years. Dr. Mario Imola, Aesthetics by Design’s founder and owner, utilizes the leading-edge technology of NeoGraft to restore hair in both men and women, providing patients with fuller, thicker hair. Utilizing Follicular Unit Extraction (FUE), Dr. Imola systematically removes individual follicles from the back of the head, and carefully implants them in the desired areas of the scalp. Check out Dr. Imola’s website!